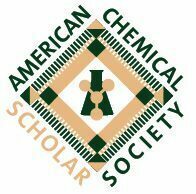 This is ACS Voices, the diversity podcast of The American Chemical Society. Each month we will feature personal stories of people and diversity-related events from around the ACS. If there is a person or event you think should be featured here, send an email to Dr. Ben Fiore-Walker at b_fiore-walker@acs.org. Enjoy!! Copyright 2019 The American Chemical Society & 1016 Studios. All rights reserved.